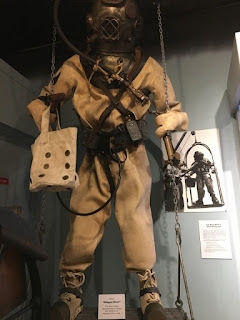 On a rather windy and chilly day, we decided to make our way south to the History of Diving Museum. 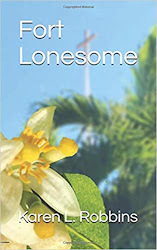 It was a Sunday and it seemed that everyone else who couldn't go boating or swimming or even diving for that matter was headed south as well--probably out of boredom. What should have been about a ten minute ride took us about forty minutes with stop and go traffic. All well and good. We didn't have anything else planned. Thankfully pulling into the parking lot and out of the traffic, we made our way inside and began what was to be a rather unique look back at diving. Obviously man has always been fascinated with what lies beneath the sea and that was quite apparent as the first exhibit after we passed through the door that resembled something from a submarine was from 1551. It was a glass bell that hung over the diver's head allowing him to breath whatever air was trapped under it. 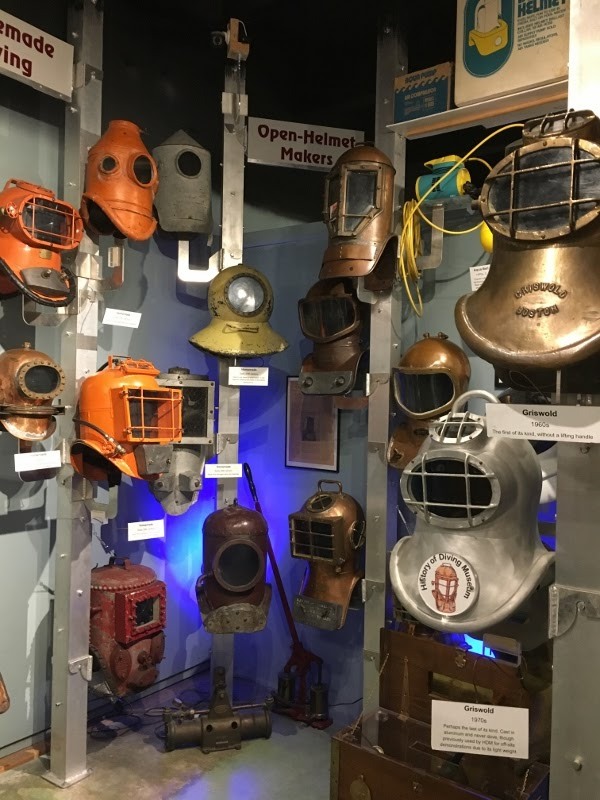 We meandered through all sorts of displays of diving helmets, some that were quite crude and made me wonder at the tenacity of the inventor and his desire to see under the sea. 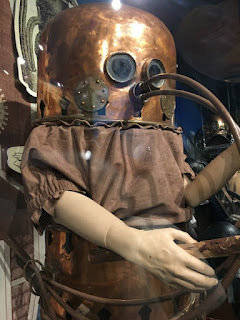 Diving suits and air pumps of all kinds showed a progression of inventiveness. Some of the earliest air pumps were nothing more than elaborate bellows. The first dive light was a candle in a lantern. It proved that even a flame needed oxygen to burn. 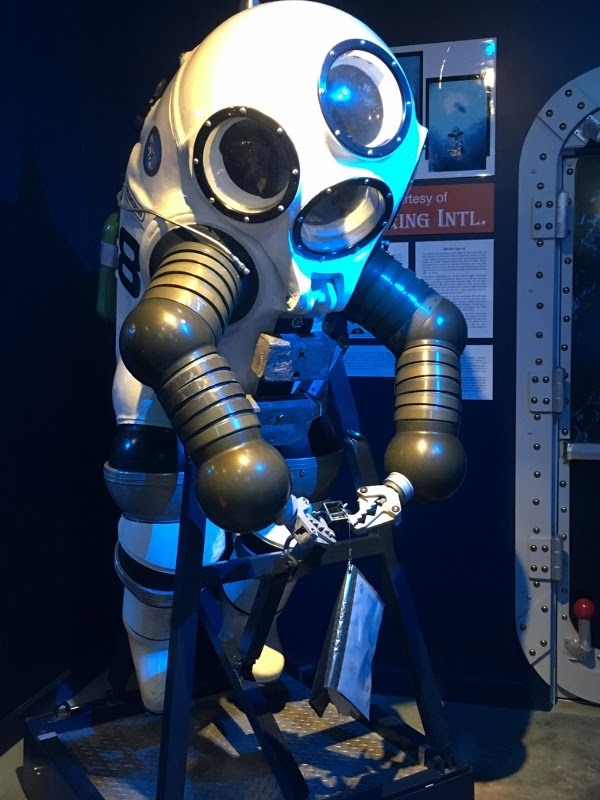 Some of the dive suits that were for extremely deep dives looked like something out of a science fiction movie. One even resemble the robot from Lost In Space--Danger Will Robinson! There was a lot of information to be had that explained the differences between commercial diving and recreational scuba and the differences in equipment. There was one small sign that caught my eye though. 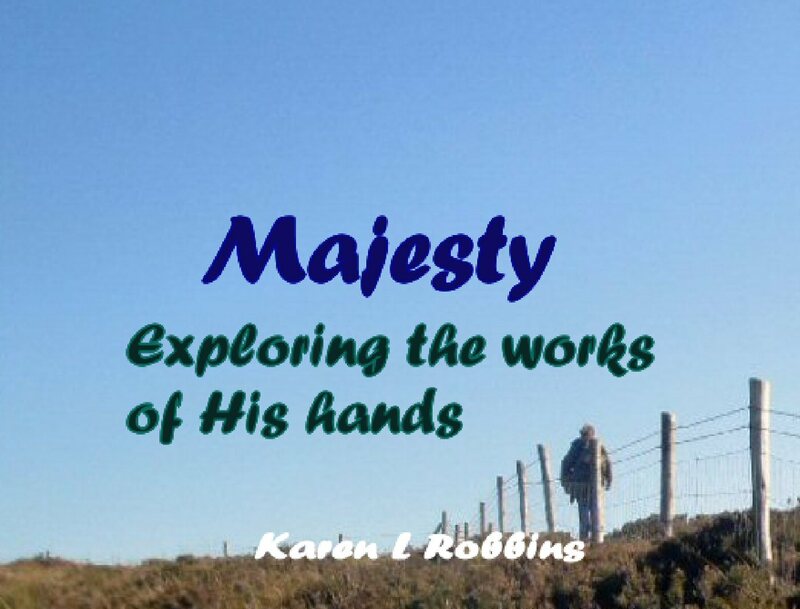 It was in reference to the rebreathers that some divers use but it set my novelist's mind in motion. It read: You can safely breath 100% oxygen only to depth of 30 feet. Beyond that oxygen can become lethal. Hmmm. I see a plot in the making. Just a suggestion but I would think twice about taking a very young child, say 2 or 3 years old through the museum. 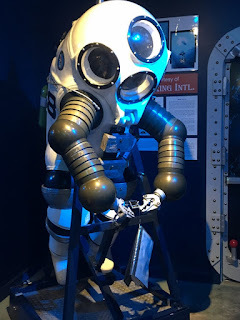 Some of the dive suits look like monsters.